So what is the Windows Mixed Reality platform? Do you remember the hype over the Windows Mixed Reality platform? I certainly do ! That’s what made me go an order one on the day of launch, and I have got to say that after it arrived I was left fairly deflated with what I had just spent my money on. However with the arrival of my Surface Book2 I finally got it and since then I have become a bit of an addict. Biggest tip for sure is get the right device to run Windows Mixed Reality! When I first got the headset, I had heard the WMR would work on a Surface Pro 4, but plugging the device failed the WMR hardware test. So I tried on a Surface Laptop, that too failed. So I then brought a Lenovo laptop which met the criteria, I spent about £600 on the device, and though it ran it was very buggy. For example the speed of setting the environment took upto 10 minutues easily. Moving around was very a painful experience, yet the device met the requirement of WMR. So the frustrations of a middle aged man came through and I packed it up and stored it underneath my bed. Lets fast foward into October 2018 when I start my new job working with the amazing team in Surface in the UK supporting education customers on there journey. This meant I could get my hands on a Surface Book 2 !, with an 8th gen Intel processor and chipset I thought it would be an ideal candidate for WMR – and it was ! Before I could use Surface with WMR of course I needed a new USB C to HDMI connector, so a swift purchase from the Microsoft store fixed that. Plugged in the headset and boon we were away, in the same room which had taken 10 minutes to setup, we were ready to go within 10 seconds, I could use the WMR controllers to navigate around swiftly and easily from the comfort of my chair. Tip two – think outside the box ! As you can see my various screens are set up! Didn’t have to purchase four super large screen and put them in my office at home, I simply look and use the screen I want to. As you can see my Mail app is open on the left hand side and on the right is my calendar. Well typing is as easy for me as texting with the controllers. However with more applications like Microsoft Office, having inbuilt dictation I made not need to use them in the future. 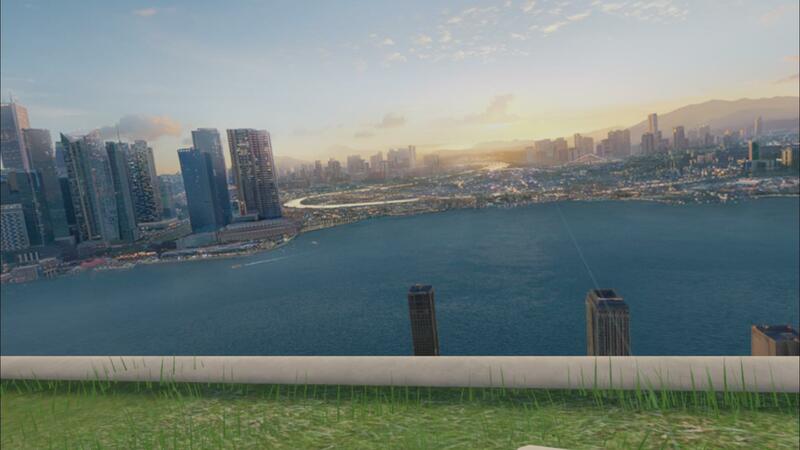 Also the Immersive Reader application is now available in WMR also which allows for accessibility in using these headsets as it does across the rest of the Microsoft platform. There aren’t many views like this – the view from my window ! It may sound bizarre in a world of open plan offices and commuting to work, but having a view like this is quite therapeutic ! It means I can take some away from the screen as I would do in the physical world, listen to some music for example. Here is another shot from the back of my office ! 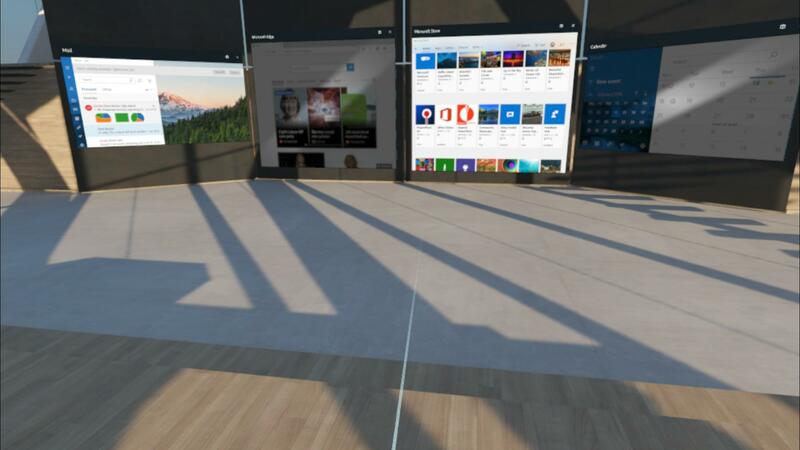 Seriously early days but being connected to the Microsoft Cloud services, Windows Mixed Reality allows me to be fully exploit the functionality in the comfort of my own home without the distractions. Don’t get me wrong the WMR headset is not on my head all day but it does focus me my taking out the distraction of the space around me. Where might this go? Much as it did back in the 1960’s where someone invented the “open plan” office for striking collaboration and communication in teams of employees (which didn’t quite have the desired affect), students we are teaching could find this as a common way of working in the future. Certainly in school students with educational needs can find there own space and still take part in lessons. It may well have been off to a slow start and overshadowed by the HoloLens device, but don’t under estimate the power of Windows Mixed Reality from Microsoft. 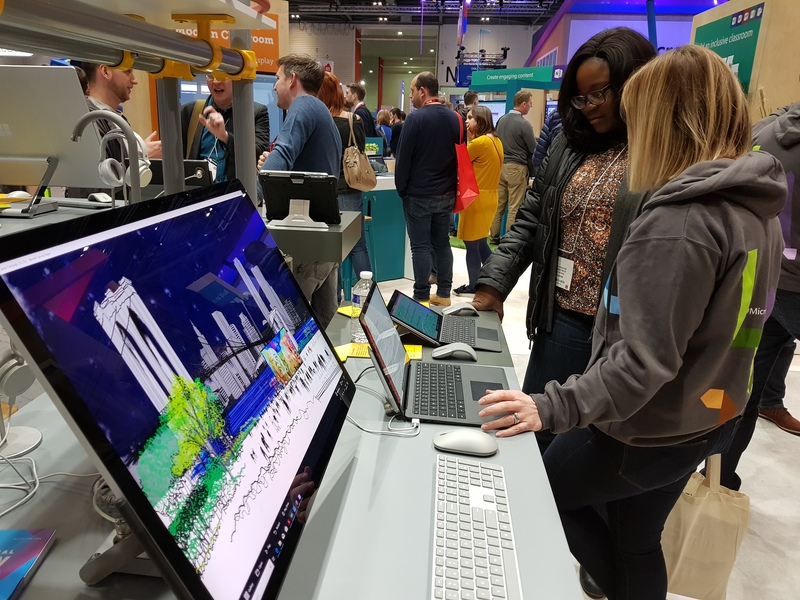 Well, its all finished for another year – BETT 2019 that is, and what a great show it was. This was my fifth year of speaking at the show and my first as a member of the Surface Education team. It was very much four full on days with lots of questions about the Surface product range and especially the new Surface Studio 2. The Surface stand in full swing at BETT 2019 with the new Surface Studio 2 nearest. 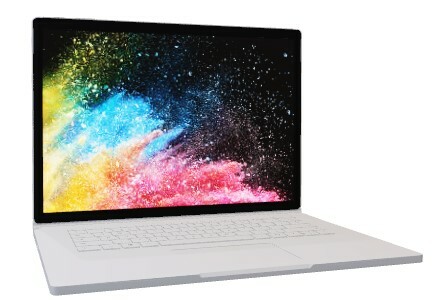 The Surface Studio 2 has recently been released in the UK (available 7th Feb) and contains an Intel 7th Gen I7 processor, 1TB full SSD storage as well as improved graphics processing and screen brightness, all bundled with the ever-popular 28-inch screen which can be lowered into ‘canvas’ mode. Well, the short answer is Yes we can! 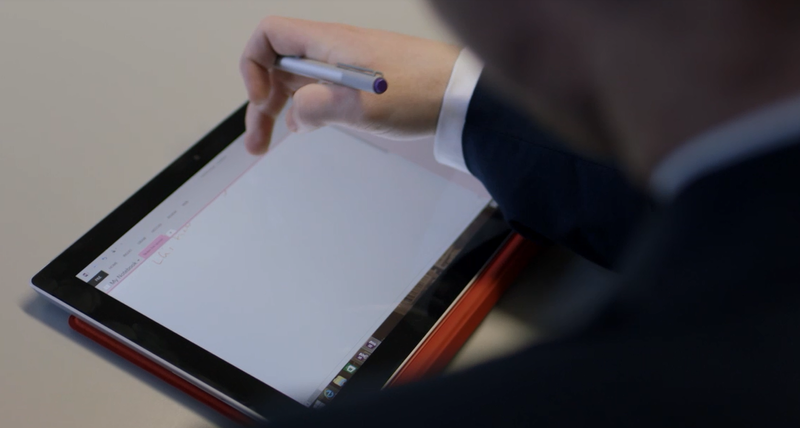 – AutoPilot deployment is a new modern deployment solution available for Surface in the UK. When you the customer orders a number of devices from a reseller, they are supplied with a Hardware Index File. This file contains information about the machines you have ordered. When the devices have been delivered all you need to do is open the box and finish the Windows setup, type in your Office 365 account details and the machine will be ready to go (normally within 6-7 mins). I am sure you will agree this is better than imaging machines and of course quicker for the IT Team! What do you need to use AutoPilot? A reseller that us using the AutoPilot service. The first steps are to make sure you are working with a partner that supports AutoPilot. When done so the partner (through the Microsoft Partner Centre) can request permission to have the role of adding devices to your Azure Directory. Simply put this means that when you order machines they can add them to your Azure Active Directory. Next using the Intune blade in Azure you can create a deployment profile for new AutoPilot devices, here you can specify the Out of Box Experience for your users, for example skipping the EULA, deciding if the user should be a local admin etc. Remember to brand your Azure Active Directory at this stage to personalise the experience even more for the end users. The machine will then configure itself according to the deployment policy. We have created a simple process document as your starter with AutoPilot for your deployment of devices in schools. Windows AutoPilot is a key tool for the modern IT Pro, along with Microsoft Intune, and the Education Store. AutoPilot transforms teacher time as it rapidly allows for the deployment of Surface devices in the classroom. Windows AutoPilot uses the functionality of Windows 10 to allow IT Pro’s to leverage the power of the cloud in the modern environment, Legacy technologies such as disk imaging, have become a thing of the past. Windows AutoPilot and Azure Active Directory allow you to take full control of your cloud connected device, delivering a Modern Desktop Experience to your users. 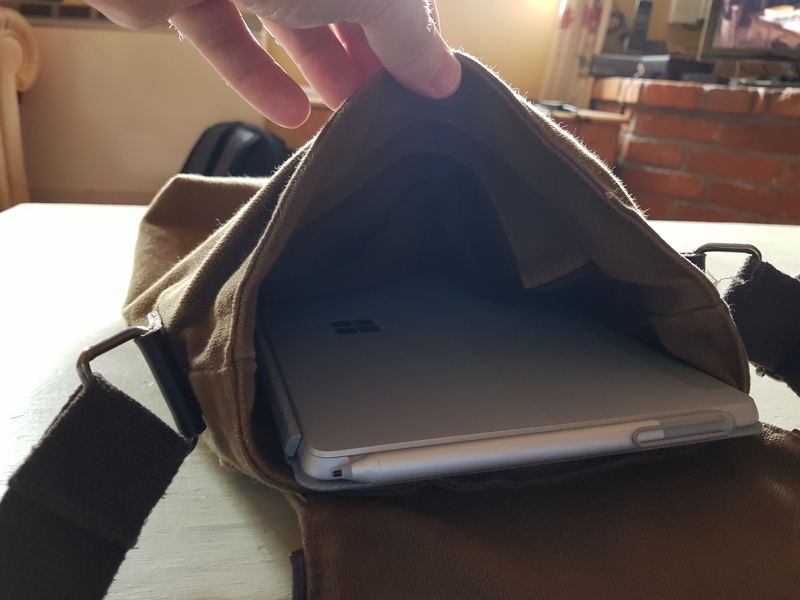 So it has been 4 weeks into using the Surface Go as my main machine – and I thought it was time to share with you how this has gone. 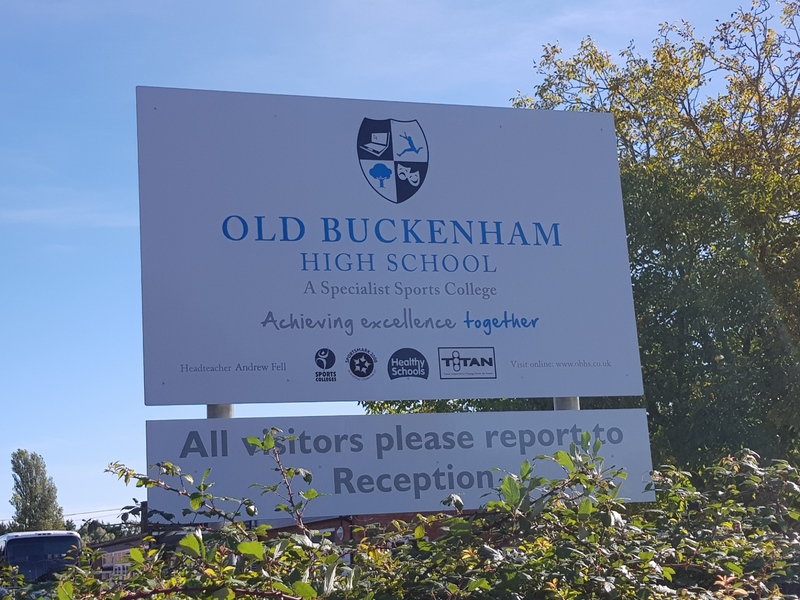 One of my roles in my working week is to manage the IT infrastructure and IT Strategy at Old Buckenham High School in Norfolk. Now traditionally my work machine for this role has been my Surface Pro 4 however, I thought I would see if the Surface Go would be able to take on the role of the Pro 4. My day starts at home at about 6.30 when I get up and get sorted, a black coffee is soon followed by BBC Breakfast to see how the world is performing since I went to sleep. Generally, I will use the Office 365 admin to check the school’s tenant is functioning as it should be. The Office 365 admin app is available for free from the Microsoft Store and gives you a health check on the status of your tenant. Next, I will arrive at school approx. 8.30 get into the office. Once I arrive in the office and click the kettle on, we spark up the Windows Mail application and check the email of the day. Now I am sure this is a daily ritual for many people, however I only see 14 overnight emails, this is primarily down to the use of Microsoft Teams in the school. Microsoft Teams is the collaborative centrepiece of Office 365 for Teaching and Learning and has seen us reduce the use of email – instead of using the social media based in the Teams to communicate. Next up is a visit into one of the IT Suites at the school, and the requirement to reset a few passwords for the new Year 7 students. Though my Surface Go is running in ‘S Mode’, which means I cannot install Win32 apps, I soon download the Microsoft RDP client from the store, and RDP into the server to connect to the User and Computers snap-in to allow me to reset the student’s passwords. ‘S Mode’ – In Windows 10 like the Surface Laptop the Go comes with Windows 10 running in ‘S mode’. ‘S mode’ looks and feels like Windows 10 Pro and can access any of the Microsoft Store Apps including Office 365 Pro Plus. As Microsoft Store apps effectively run in a sandbox environment, this helps ensure a day 1 – day 1000 experience on the device, also ‘S-Mode’ devices authenticate against Microsoft Azure AD, not local AD. ‘S mode’ doesn’t support fundamental IT Pro’s tool such as PowerShell and Command prompt, so you may wish to upgrade to Windows 10 Pro or Edu. I still use ‘S mode’ as its quicker to start up and I like the cloud management (more on that later) if I need PowerShell I simply either RDP into a Server or more recently an Azure VM that is connected through to our infrastructure. Back in the Office, I use the Go with the Spotify app, and my £25.00 JVC Bluetooth headphones while I have lunch, and get on with a few more areas on our staff drive into there new homes in SharePoint online as we continue to move the school on its journey with the Microsoft Cloud. As the bell goes a Teams notification pops up requesting some help on Microsoft Forms, so as we continue to move more services into the cloud it frees my time up from firefighting the technology to be able to support teachers to achieve more in the classroom. So a quick pop into room 10 during the free period in the afternoon means we can offer support to the teacher so she can now build a quiz for students that auto marks itself. Using the Microsoft Wireless Display Adapter in the classroom means that I can simply “connect” to the projector to show what I am doing on the board. After 20 mins of running through Forms, I simply swipe from the right, chose Connect and then Disconnect from the display. Finally, the last job of the day is to do some routine maintenance on our Azure AD joined cloud devices using Intune for Education. 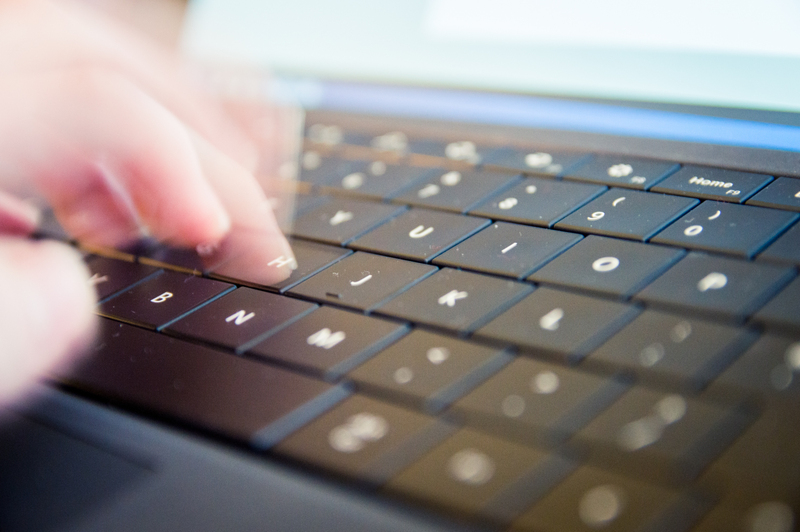 The Intune for Education portal is designed to admin your estate from any web-connected device, but with its full-size keyboard, I don’t eat into the screen real estate when I am on the move, unlike my iPad which was my companion device previously. The Intune Education portal makes it simple to refresh a device overnight and also add a new science web app for deployment, so tomorrow, when they sign in kids, will have access to the resource. Its only towards the end of the working day you realise the battery life is nearing the end, Surface Go has up to a 9-hour battery life but in its day to day role in the school, it gets used throughout the day. Though looking in my bag I realise I have left my Surface charger at home, I don’t have a problem as I get out a USB – C charger for my Samsung Galaxy S8, (which I carry with me all the time!). With enough charge to last me the rest of the evening I quickly use the Your Phone app (which is linked to my Galaxy S8) to text my wife, that I am on the way home. So I am a couple of weeks into using the GO as my main machine and talking to colleagues about their own experiences with the device. In general, I have been really pleased with what the money buys! An ideal companion machine for my day to day work, as it been able to all the things I have asked of it – YES, do I render high-end quality video and need to use Photoshop to manipulate big images – absolutely not. I would say the best aspect is simply the portability of the device and the knowledge of having a fully fledged PC device in your bag which is not going to run out of battery life during the day. Even it did, you can sleep easy in the fact of being able to use your phone USB charger on the go. The screen quality I have been particularly impressed with, with its uni-bond construction it means sharing the display with people sitting next to you is no problem. The Surface keyboard is always a great experience to type on and the size of the trackpad is a vast improvement on the Surface 3 from a few years ago. I guess my only side is the comparison of the size of the keys against the Pro, for someone like me in my late 40’s who has always used a full-scale keyboard and having middle aged chubby fingers I find at the moment I suffer from hitting the wrong keys when typing sometimes. 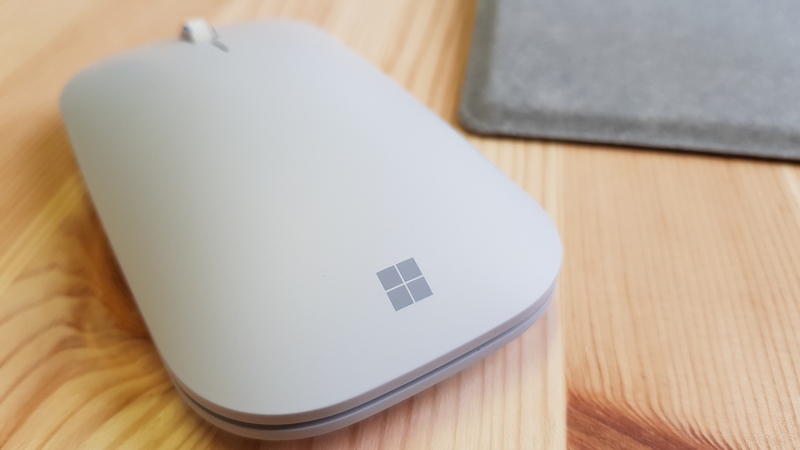 I have invested in the new Surface Mobile mouse from the Microsoft Store, so when I am typing I can be a bit quicker with using the mouse. The Surface Mobile Mouse is light, ergonomic and only £29.99 from the store. 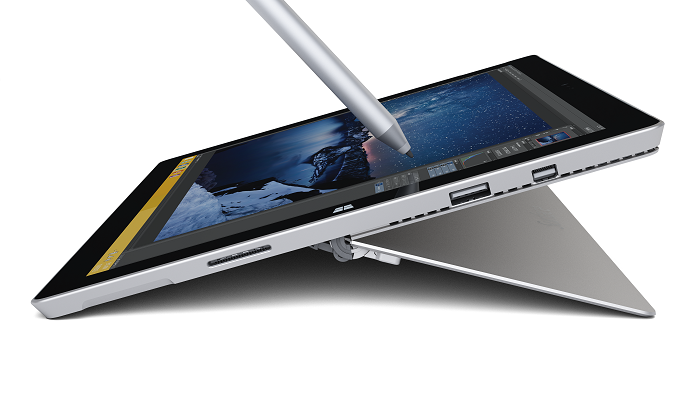 Of course, the Surface pen is the best experience and has meant I have used the device in ‘tablet’ mode on several occasions just using the pen to input. I also very much like the thought of Windows Hello (Face ID) working in portrait mode as well as landscape, so I don’t have to bother about passwords if I haven’t got the keyboard attached. 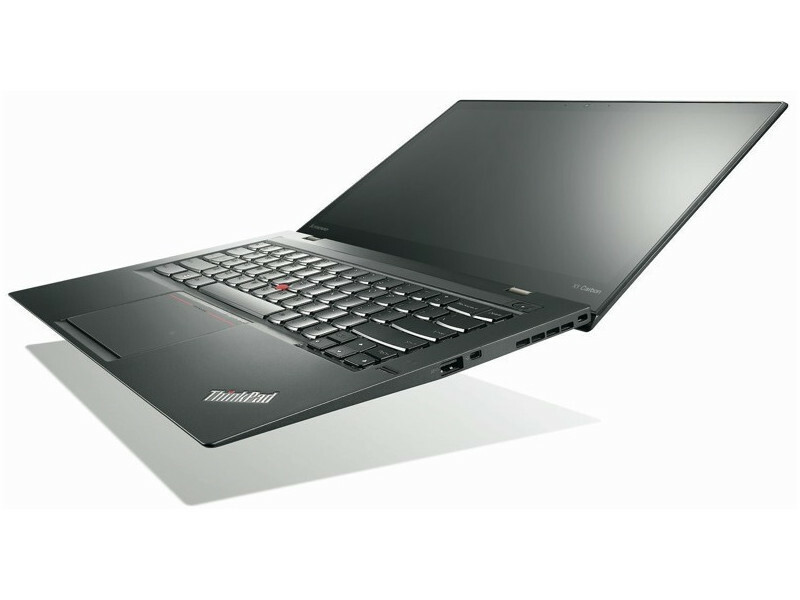 For the IT Pro or not? 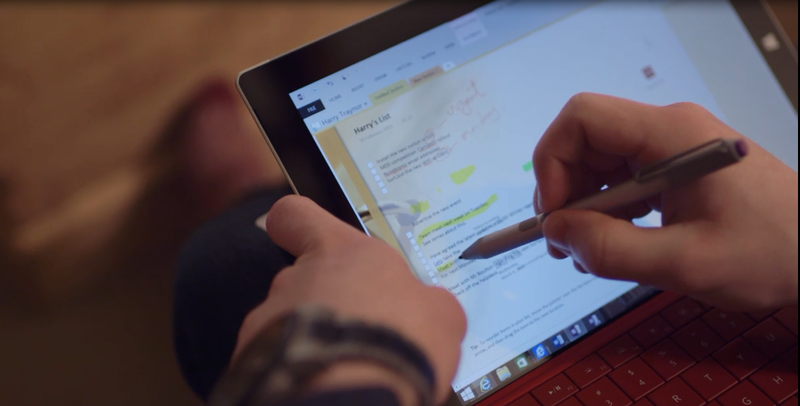 Is the Surface Go the right choice for the IT Pro in school? Well, it can certainly deal with the pressures of what’s required to admin a network (through RDP) and use in the day to day job. What’s priceless about the Surface Go is the portability of a full-blown PC with a weight of only 1.15lbs. Fully functional running Microsoft Office, using Windows inking, using existing 3rd party software and leveraging all of your schools existing investments. I guess I would finish with the same thing I would say about any hardware that you buy, is that you need to get the best out of the device from the software or services you decide to run on the device. 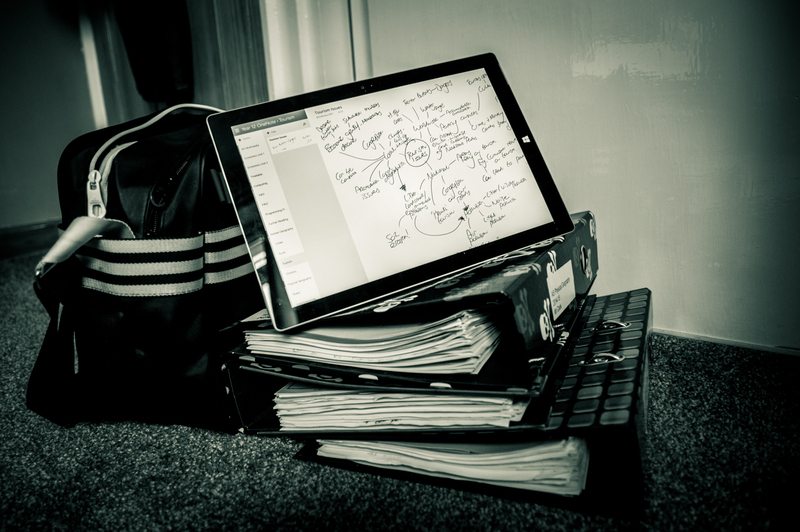 It goes without saying by using the Microsoft Cloud, OneNote, Flow, Power BI etc means I get the utmost best from the portability of the device. 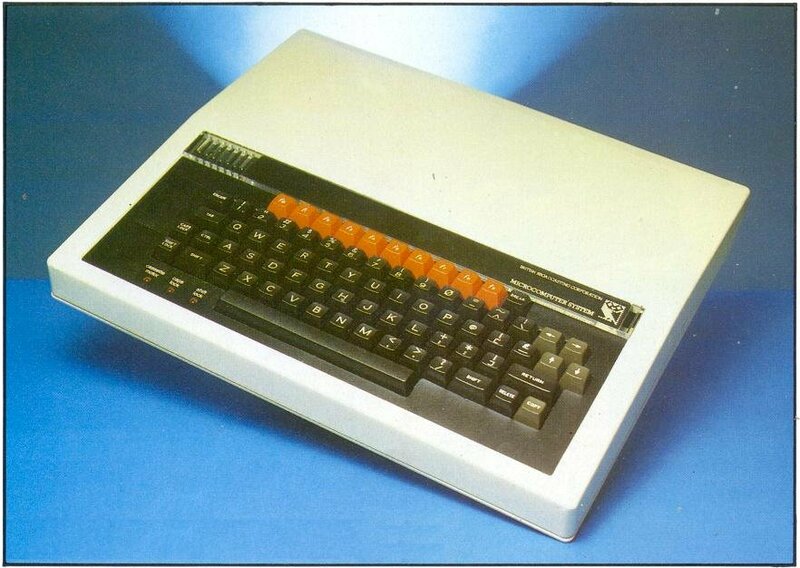 If I didn’t and only used it for word processing then any entry-level device would do. However, as mentioned the portability around the school is absolutely priceless and also as I do a reasonable amount of train travel with my work the ‘lap ability’ factor is completely priceless even against my Pro device. In the classroom the same is true with service like the Windows Mixed Reality program which allows students to mix the digital world with the physical, on a device for less than £300 means these are truly transformational times in the world of personal computing. OK so it arrived yesterday ! – my new Surface Go… I have got to admit I am getting a bit of a device complex now, having a Surface Book, Surface Pro, Surface Laptop and now the Go. 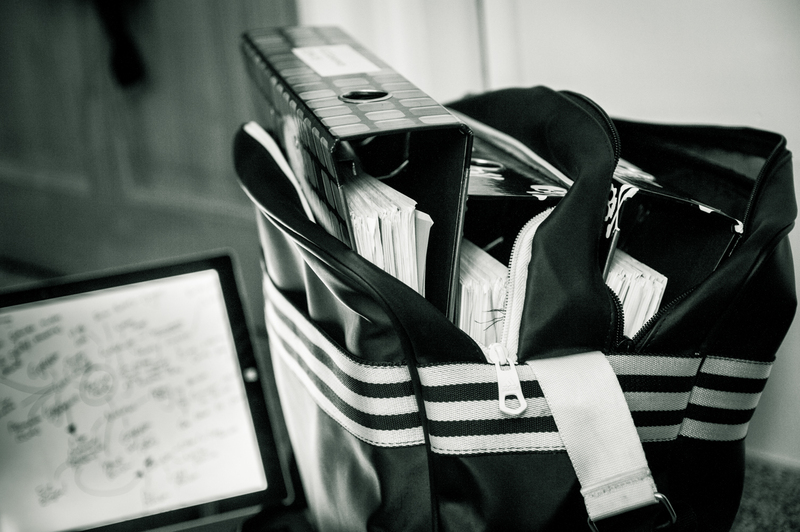 I have got to be honest not one device does it all, I still find myself taking the Book out to do demo’s, where as I prefer the to use the Laptop for everyday… I was wondering whether the Go will reduce the wait I have to carry around with me on a day to day basis. So what have I brought… well Surface Go is available in two flavours in the UK first is a 4gb memory 64gb storage version and the second is 8gb / 128gb. I opted for the big brother. Well once out of the box you definitely know its a Surface device, the same build quality is evident from the moment you pick it up. 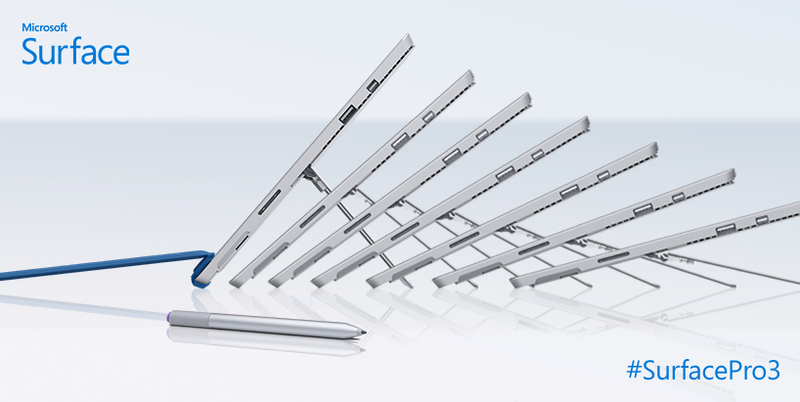 Against the Surface 3 you have the frictionless kick stand (aka Pro 4) which is a great improvement on a budget device. Now my initial disappointment with the device (seeing that its aimed at students/ edu) is the adoption of a USB C adapter! What I hear you cry – we have been after Surface devices with USB C for years now and you don’t want one ? No no no no ! I welcome the inclusion of USB C, especially as I have a USB C phone which means one less charger to carry around, but I also have a Surface charger built-in to the device but no USB 3.0 port. Though we live in the cloud age, and this is a cloud book essentially, I still believe the majority of students would like to see a USB on the device, to plug in there USB stick or device (remember printers … we still use them!) So perhaps ditching the Surface connector and have replacing it with USB 3.0 may have been a better call. 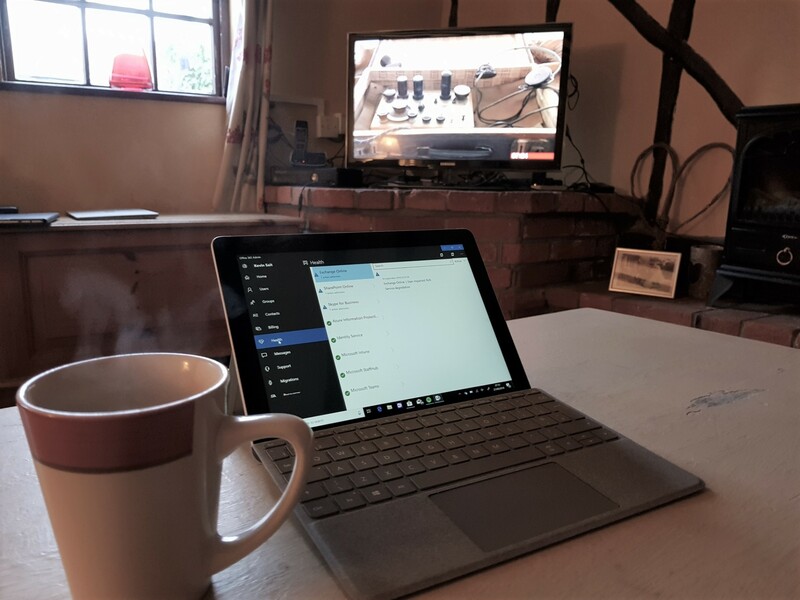 Powering on the device takes me through the typical Windows 10 setup and of course its great to have a chat with Cortana to tell her about the UK keyboard I need !. So what Windows do you get ? Well initially you will launch the device with Windows 10 Home in S mode. So what exactly is S mode ? So first lets start with Windows 10 Home – the lowest common denominator in the Windows family, its the ‘retail version’ of Windows so doesn’t come with the functionality of the Enterprise or Professional versions. S – mode is the cloud variant of Windows 10, which gives you a super fast, super safe environment, looking like and behaving the same as Windows 10. Imagine it as Windows 10 ‘Cloud’ ideal to work with Microsoft’s Office 365, so you can store your documents in the cloud and share and collaborate with others. The main difference is that any software you use will need to be installed from the Microsoft Store – S mode doesn’t support the older software i.e. things that come on a dvd or where you have to click a setup.exe file to get things started. OK so here is the big deal with S Mode, it promises to be a day 1 – day 1000 experience for the user, typical things that eventually slow a normal Windows device down have been removed ensuring the device is always quick to start – no more hour glasses to watch. Times are indeed changing ..
You know I almost forgot the keyboard ! a vast improvement on the Surface 3 version ! A trackpad that is well proportioned and very useable and of course the Alcantara feel makes it as good as the Pro 4 for any spillages ! A vast improvement in the keyboard in the GO. 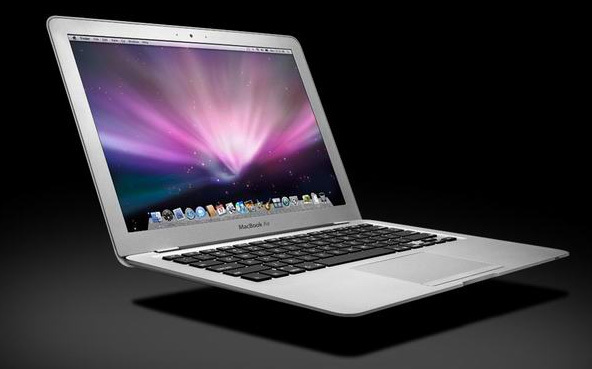 Great feel to the using the keyboard and well proportioned trackpad makes the device truly portable. Of course as we continue our tour around the Go we find the MicroSd slot under the kickstand, supporting upto 256gb a quick and easy way to expand the capacity of the device. I have already added a 64gb card and use it to sync my Onedrive for Business account so I am truly portable with or without internet connectivity (which can be very useful on the way into London on the train). Have you said Hello to Windows Hello? The camera’s are important on the Go to me, first off the front facing camera support Windows Hello. The Go has two camera’s front facing (5mp) and world camera (8mp). The rear camera is RGB and therefore support the Windows Mixed Reality platform, allowing students to blend the digital with the real world. However lets talk more about Windows Hello and how that improves the sign in experience. Windows Hello has been around since the launch of Windows 10 but normally on high end devices. However Go brings you Windows Hello at an affordable price point. Windows Hello replaces your password allowing only you to unlock your device. Remember Surface Go is a budget version of the Surface family – and if your directly compare it to the Surface Pro you will be disappointed. However I am now going to use the Go as my work device and see how I get on with it. So first thing I notice is instead of taking my ruck sack and I can use my smaller back with the device and a USB C Charger. 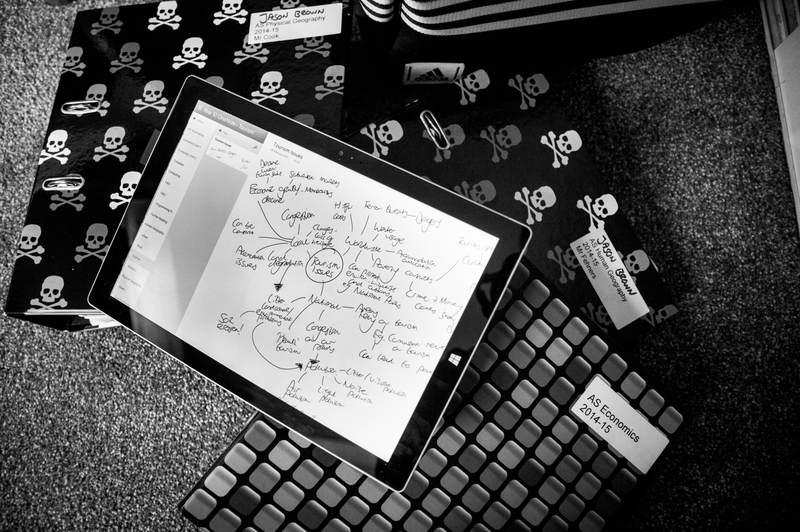 In my next post I will talk about how Surface Go can be managed from the Microsoft Cloud and how I get on with the Go on a day to day basis. We will be back soon with another post on the Surface Go soon. Its always interesting this time of the year, winding down for christmas gets you thinking about the past year and whats happening in the new year ! 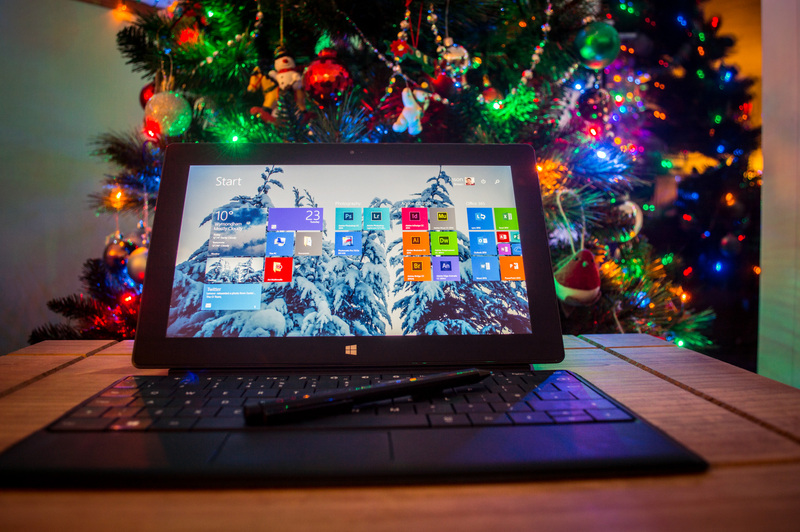 20 has seen more innovation from Microsoft, with Office 365 adding more functionality for both business and education, and the ability to turn PC deisgn on its head with the Surface Studio, we have seen all but the death of Windowsphone, but Microsoft never does anything without purpose and thats why I am looking forward to 2017. Lets take a look at Windows 10 mobile, as you know W10 mobile has been a big part of the Windows 10 direction since it launch. Dont get me wrong Windows 10 on my Lumia 950 was not a pleasureable experience from the start, but a few builds later my Lumia has truly become my ‘small work PC – with the ability to make calls’. The big sell was of course UWP or the Universal Windows Platform the ability for apps to be created with one common code base and and for them to work seemlessly across Windows 10 devices. No mobile store and desktop store simply one Windows store. However with the new developments released in W10 mobile during 2016, we have also seen Microsoft pull out of the Lumia range of devices , this was replaced with the Elite x3 from HP. So just whats happening .. Well the important message going forward in 2017 was released a few weeks ago and that is Windows 10 on ARM. The first attempt of Windows on ARM was the Surface RT – in 2017 it will be a whole new ball game for schools. So Windows has traditionally been based in the Intel x64 platform and when you take a look at the range of processors available these start at the low end Intel Atom all the way upto the Core I7 processor which is available in high end devices like the Surface Pro / Book. The Intel Atom though very cheap, really is an uber entry level chip which has been seen in small tablets like the Linx 8. So where does ARM fit in? well ARM chips are found in the smartphones and now other devices. ARM was a subset of the Acorn Computer business when its first start producing its RISC based chips in the Acorn Archimedes back in the late 80’s. Where Acorn stalled and eventually collapsed, ARM simply went on strength to strength producing processors for all the major smartphones on the market. 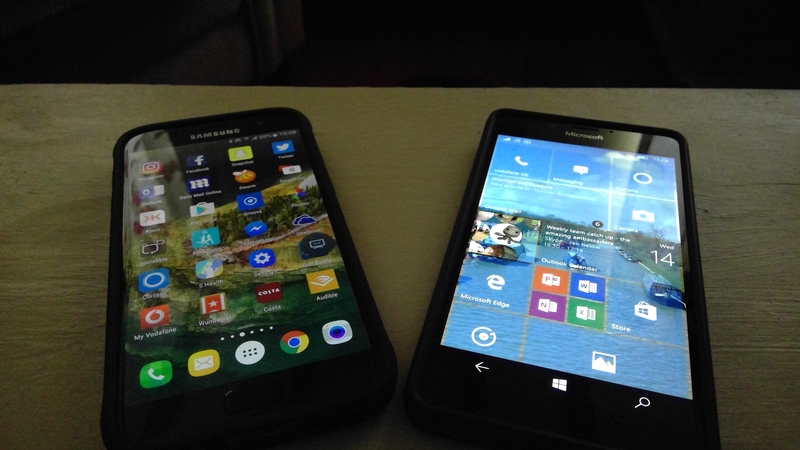 The Lumia 950 with Windows 10 (right) is really step one in redefining the mobile experience market. Windows 10 on ARM with the ability to run Win32 will be the games changer of 2017. So ARM chip are amazingly powerful and amzingly low powered for the price compared with Intel’s offering. ARM chips offer LTE built in (4g connectivity), fast charging amongst other features, At that point you realise the gravity of the statement that Microsoft can now get full Windows 10 to run on ARM, this includes UWP but also includes Win 32 applications as well. So when I talk about Win32 applications, I am really talking about ‘legacy applications’ so things which dont orginate from the Windows store. So for example Adobe suite on the PC is a Win32 application, so infact its any software which you might have installed from a CD / DVD in the past. So what is this meaning for us, (especially ‘us’ in education)? Well imagine a device, with a touch screen and with a Surface style ‘Pen’, that runs full Windows 10 including your apps & your existing software, (doing so much more than a Chromebook does just in the browser) which has say 15 hrs of battery time in between charges. Good so far? well continue imagining that device with the ability to ‘super fast charge’ by plugging in for 5-10 mins and getting a couple of hours of use from it, plus adding LTE communications ‘built in’ and all this for a price point under £200 – well thats whats coming in 2017. 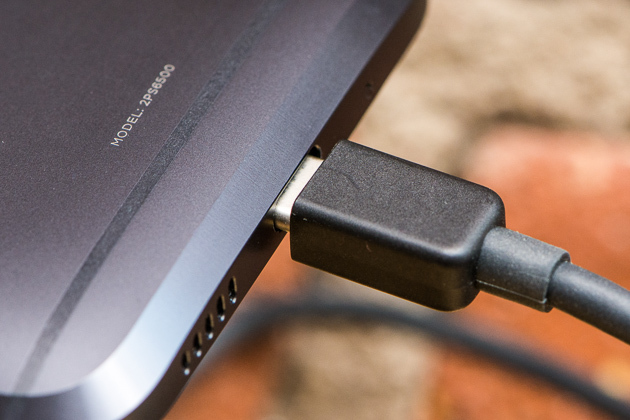 USB quick charging will give Windows 10 on ARM devices many hours of use from a 5 min charge. So if your a school and your thinking Chromebook for 2017 because they are affordable and they look cool, well my advice for 2017 is ‘hang on’ for this new range of devices hitting the market. These days its about spending what money we have in education wisely and an ARM based Windows 10 will be that ‘wise’ moment. So is Windows 10 mobile dead? no ! I believe Windows 10 mobile will be the ‘light version’ in the mobile space with its UWP support. Then you will full Windows 10 on ARM giving you the functionality of Windows 10 now running the range applications but on ultra thin devices. 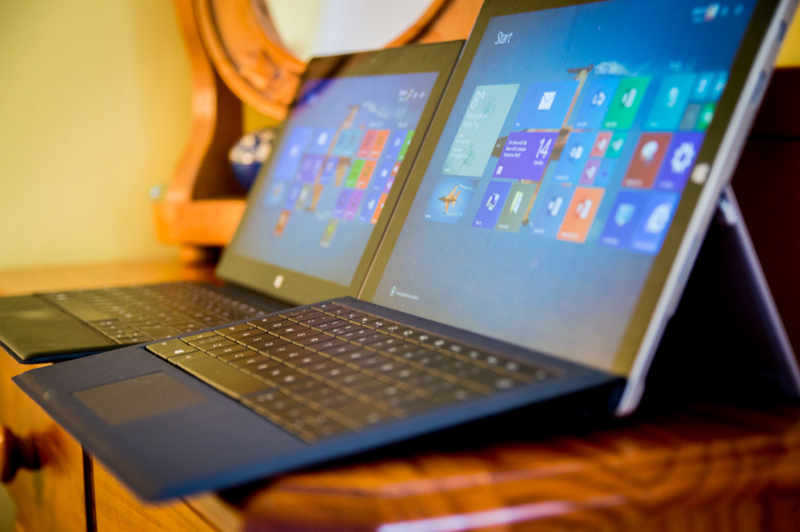 Of course the Intel based devices like Surface will exist for the power user moving forward. As we enter 2017, Microsoft are re-positioning the ‘mobile-space’ away from Google and Apple. However I would expect both companies to follow Microsoft’s lead in the next two years. Remember if you are a school and are looking at refreshing devices in 2017 – hold on .. it will be the best decision you will make ! To find out more come and see me at the Microsoft Stand this year at the BETT Show in London’s ExCel arena. Windows 10 is coming to a desktop near you in the Summer, here are a few pointers on why Wymondham High School will be deploying it to over 700 desktops PC’s and 250 Surface devices in the Summer holidays. I think the news coming out of Redmond is a lot to get your head round at the moment. These are indeed changing times, and having recently experienced the Microsoft E2 Global Educators Conference, I can definitely say that decisions you put into play now will have positive and far reaching outcomes for both staff and students at your school. 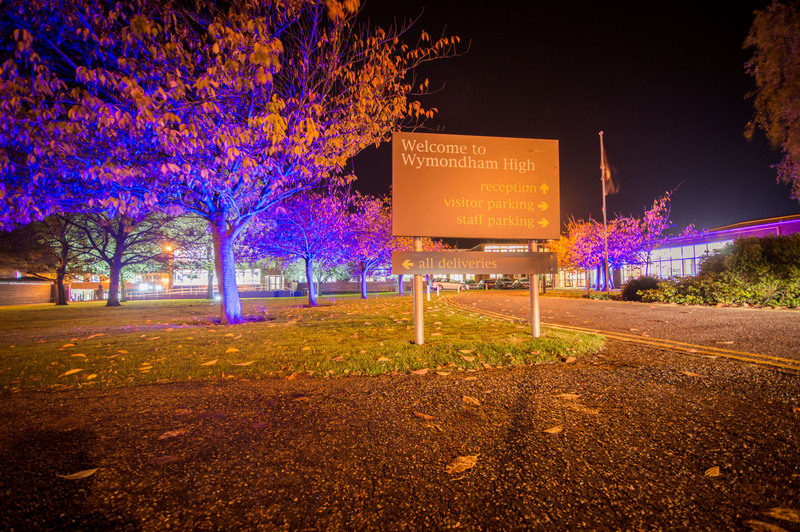 For those who don’t know me I am the Head of IT Strategy for Wymondham High Academy Trust and therefore responsible for the strategic direction of IT as a teaching and learning tool for 1650 + students. 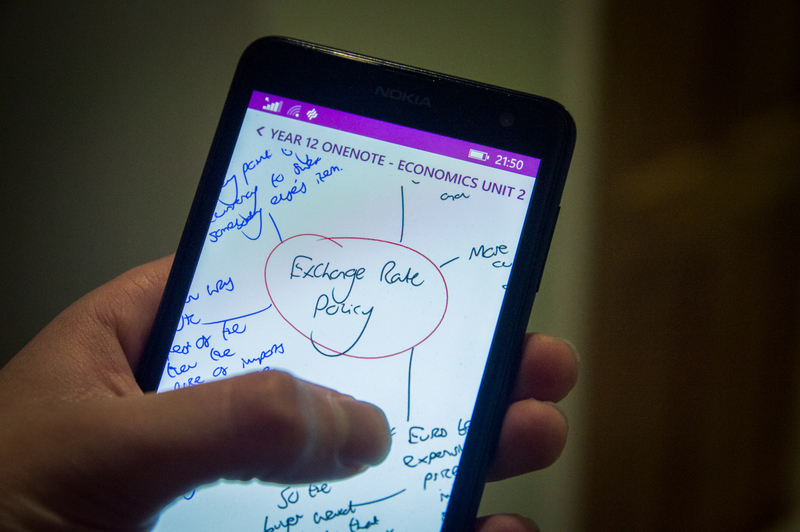 We are a heavy Office 365 user in the classroom, with teachers making great use of the OneNote Class Notebook Creator, to enhance classroom activities and making learning more engaging. 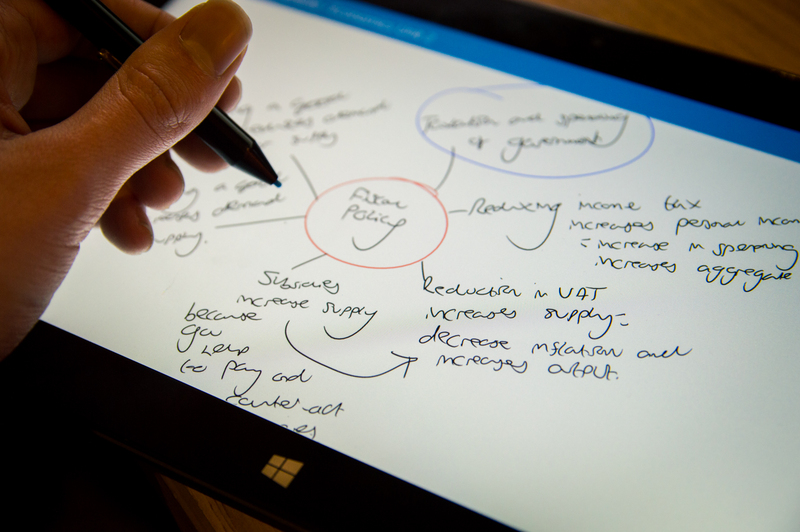 We were recently one of the first schools in the UK to deploy the new Surface 3 into the classroom. 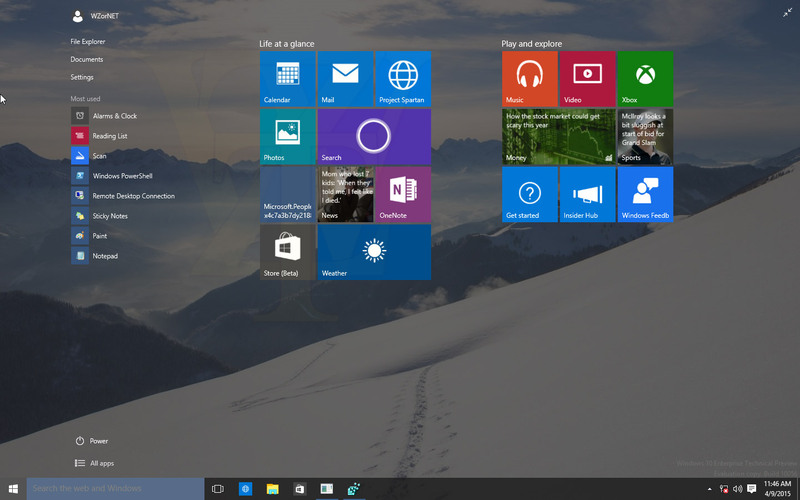 The next ‘Quantum Leap’ for us is to move from Windows 8.1 to Windows 10 Education. Our team of students and staff have been involved in testing Windows 10, from some of the earliest builds, and we see it evolve almost on a weekly basis into the OS which will underpin the whole IT strategy of the school. So from our testing in the field I thought I would take this opportunity to run through why I believe Windows 10 Education is the right choice for education. 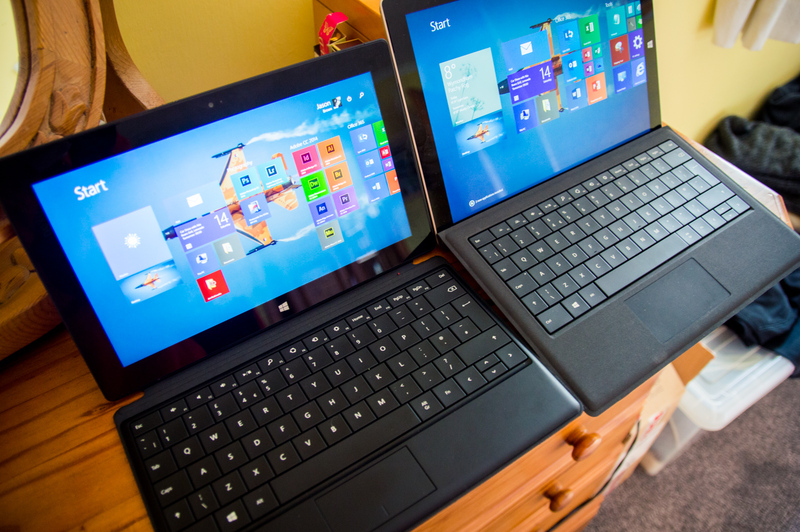 When you look at Windows 8 it was clearly trying to jump the gap between desktop PC and tablet. The Start Menu which has been ingrained to computer users since 1995 was not there! I know some people got to grips with it straight away, however other users have struggled. So its great to see that Microsoft have listened to feedback and developed the new start screen. So Windows 10 has the full feature Live Tiles, which are awesome for the ‘quick glance’ of the overall picture in your workspace, but also hold the traditional Start Menu items on the left hand side, plus access to the new Settings app. Less of the predictive searching than in Windows 8 to find anything as its all to hand. If like me you use a Surface 3, the new Continuum functionality detects when detach the keyboard, making Live Tiles bigger and the Start Screen covering the whole screen – nice touch! From an administrators perspective, the Start Screen can still be managed with the existing Windows GPO back end technologies – but perhaps now is the time to reduce that management and let users be creative with the OS. Cortana is an exciting proposition in the world of education. 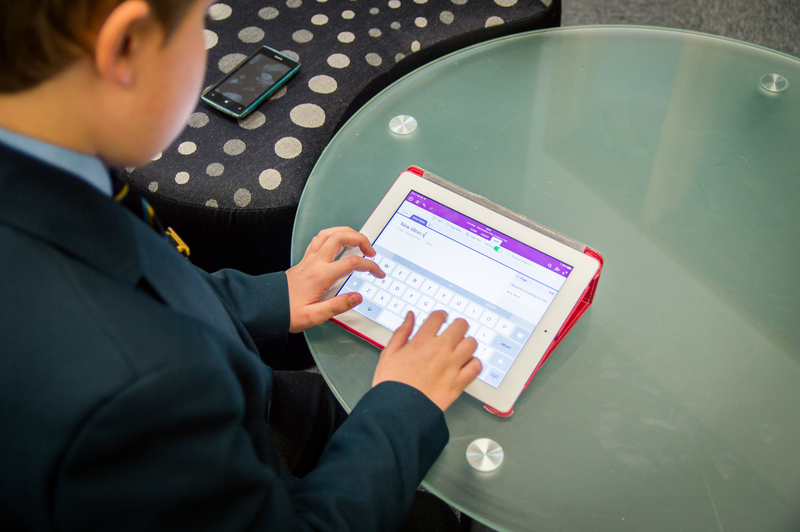 Students have opportunities to become more organised by setting reminders, more personalised searches with integration to their smartphones as well. Its really early days in this field, by I am sure that the Cortana API development opens up many opportunities for integration of these services in delivering the personalised learning experience for students in the future. How powerful could Cortana be if it were able to look at a student timetable via an MIS. Integration with students smartphones happens now with WindowsPhones, but again this week we hear Cortana will be debuting on Android and IOS another exciting step for the digital assistant. As a user Cortana really works for me, I have recently started using the excellent location service to remind me to pick up certain items from a shop. For students in the wide world this will be part of their daily routine as things like wearable technologies grow. I can only see Cortana’s role expand in education in the future. Of course this means Cortana is available across all devices that a student uses in the future, phone, tablet & desktop. 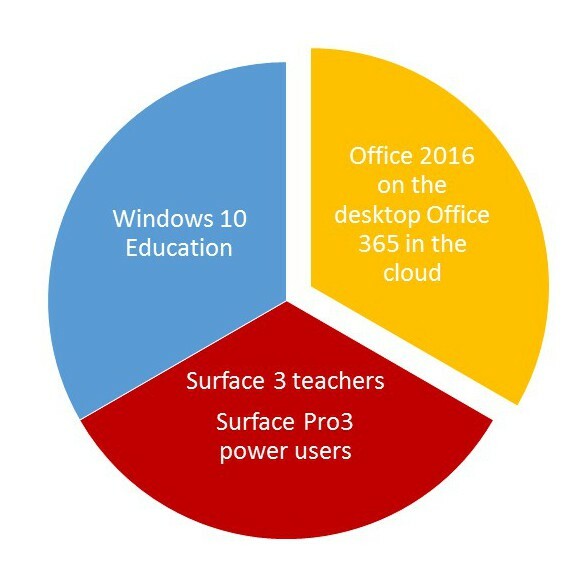 Office 365 has really become our learning platform at school in the past year allowing students and teachers to experience the best of the cloud and access work from any internet connected device. Windows 10 will now let you log in with an organisational account (Office365) much in the same way Windows 8.1 let you sync details via a Windows Live ID. 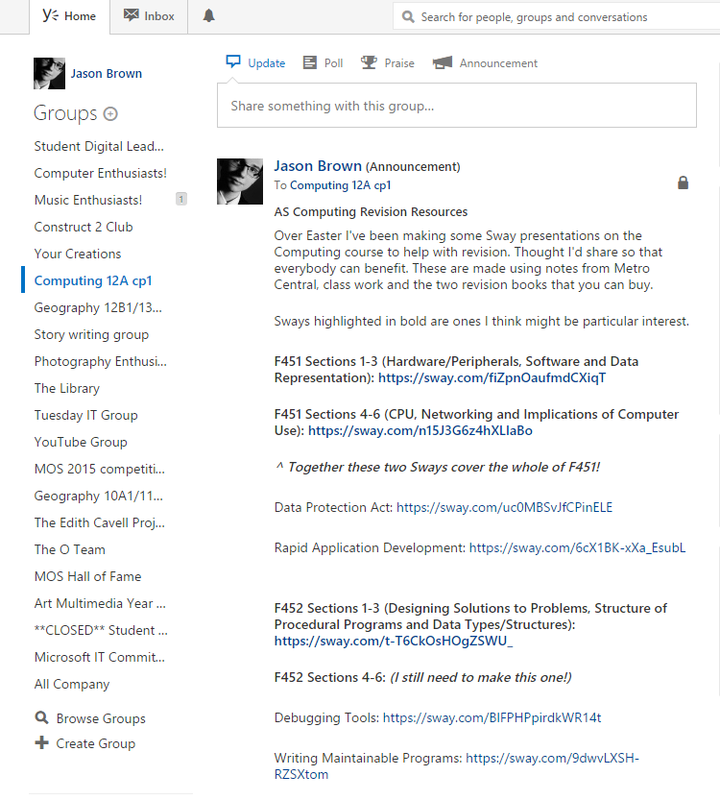 This is great as it enhances the use of Office 365 as a learning platform. Students have already benefited from OneNote, and the Office 365 ProPlus benefit. Organisational account logon will enhance the user experience. This is a great opportunity for students to sync their learning environment to a home computer and have all the access to the same apps they would have at school. There will be a few school network managers muttering at this degree of openness, but I believe it needs to come if our education system is to evolve. Windows 10 Education will allow students to download free apps from specific categories in the store. So a school could give students access to the ‘Education’ category so they could pick and chose apps to help their own learning. So a school managed learning app store will be another powerful tool to enhance teaching and learning. Project Spartan (aka Microsoft Edge) is the new web browser included in Windows 10. Again a lot of thought has gone into Spartan and its underlying technologies. Web pages render extremely quickly through the new rendering engine making browsing on Spartan enjoyable experience again, and your browser becoming a real productivity tool once more. 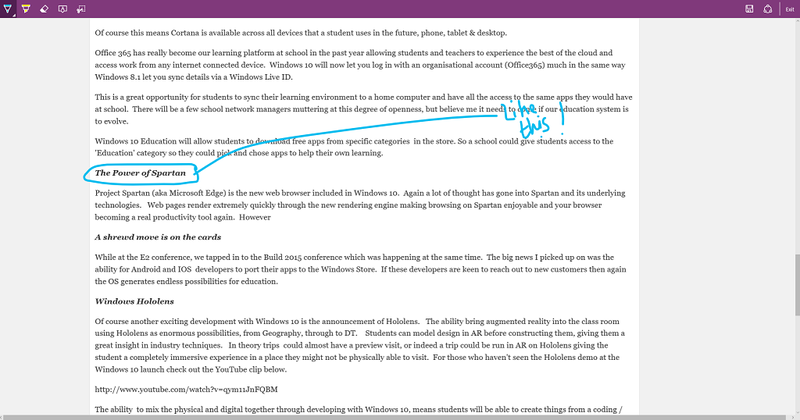 However Spartan also includes inking technologies to allow teachers and students to annotate and share web pages. 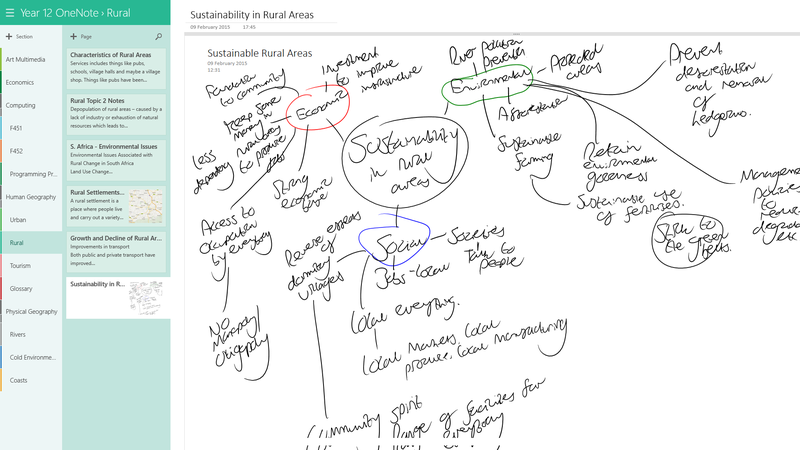 So imagine a teacher using a Surface stylus to ink directly over a webpage and instantly share that with the class! Did I mention that Spartan can manage your reading list as well, so Spartan on a small sub inch tablet becomes your ebook reader. In Windows 7, & 8 I was a heavy Google Chrome user, due to its size and speed in comparison with Internet Explorer. However since running the Windows 10 technical preview Spartan is now my choice browser. This is a technology replicated to WindowsPhone 10, and I would expect Spartan to evolve onto other platforms in the near future. While at the E2 conference, we tapped in to the Build 2015 conference which was happening at the same time. The big news I picked up on was the ability for Android and IOS developers to port their apps to the Windows Store. If these developers are keen to reach out to new customers then again the OS generates endless possibilities for education. Of course another exciting development with Windows 10 is the announcement of Hololens (Holograms). The ability bring augmented reality into the class room using Hololens as enormous possibilities, from Geography, through to DT. Students can model designs in AR, before constructing them, giving them a great insight in industry techniques. 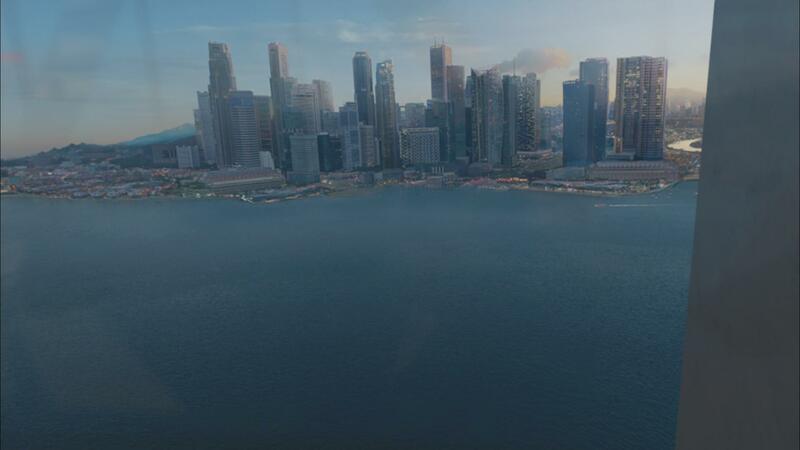 In theory trips could almost have a preview visit, or indeed a trip could be run in AR on Hololens giving the student a completely immersive experience in a place they might not be physically able to visit. For those who haven’t seen the Hololens demo at the Windows 10 launch check out the YouTube clip below. The ability to mix the physical and digital together through developing with Windows 10, means students will be able to create things from a coding / computer science view that are really meaningful and tangible to people. I believe its through this technology that we could generate the all important entrepreneurs of the future. So often students feedback to use with ‘ I bored of moving the cat across the screen’ , now I am not saying its a now thing, but Windows 10 with its holographic API’s built-in will inspire a generation. For school network managers Windows 10 is a scalable OS that will run on anything from a £65.00 Linx 7 tablet all the way through the schools real estate. 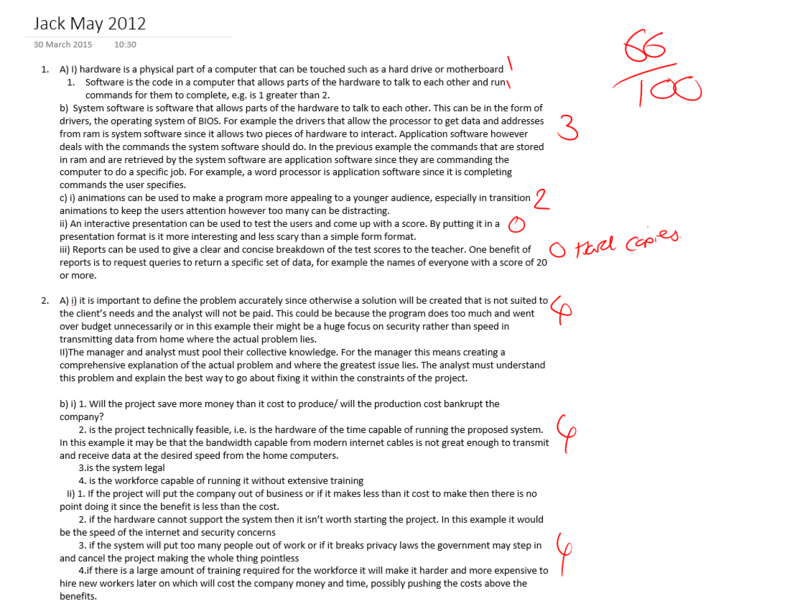 Manageable through System Centre, these are not new skills to learn to deploy to your school. However may be the way we do things is beginning to change, gone are the locked down mandatory profiles, and home folders. 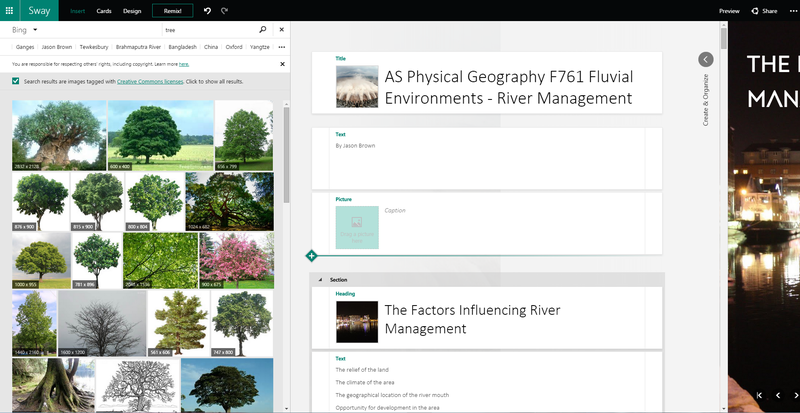 Say hello to students working and managing there own ‘cloud space’ effectively, public resources in SharePoint online, reducing the overhead to the schools. However this will only happen as a partnership between student, yourselves, SLT and teaching staff, but that’s what education is all about partnership. 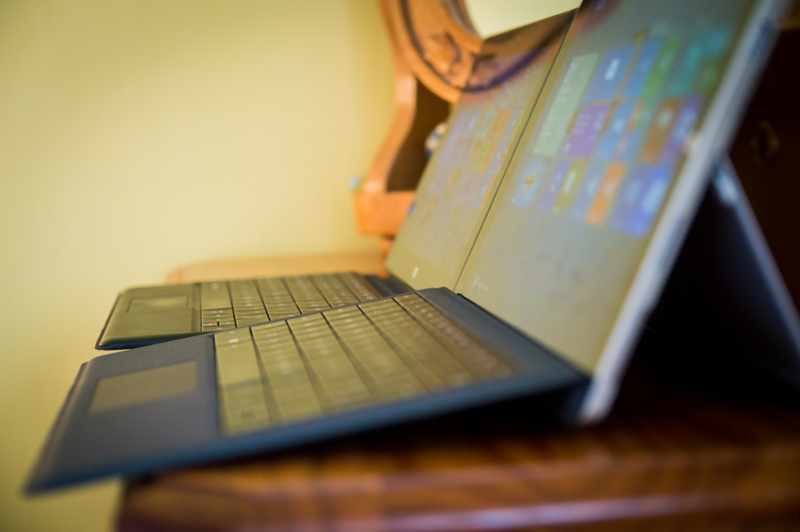 As I am writing this blog, I am installing Windows 10 on my Surface 3 device. 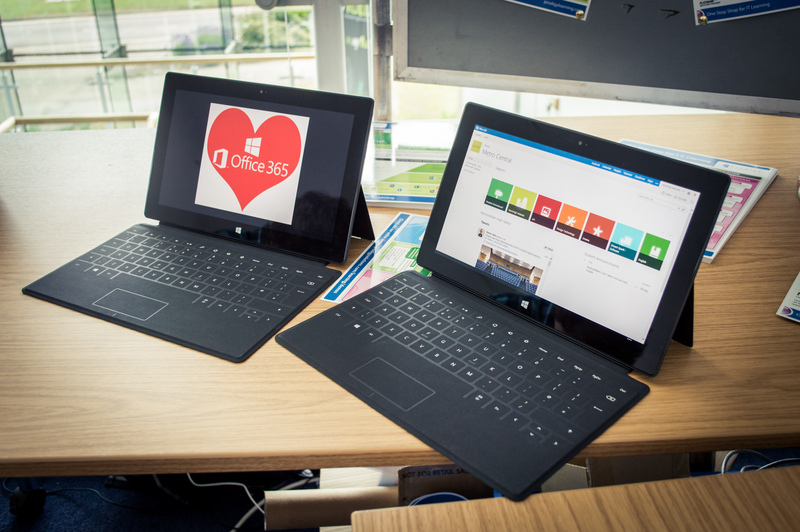 Wymondham were one of the first schools in the UK to get there hands on Surface 3. 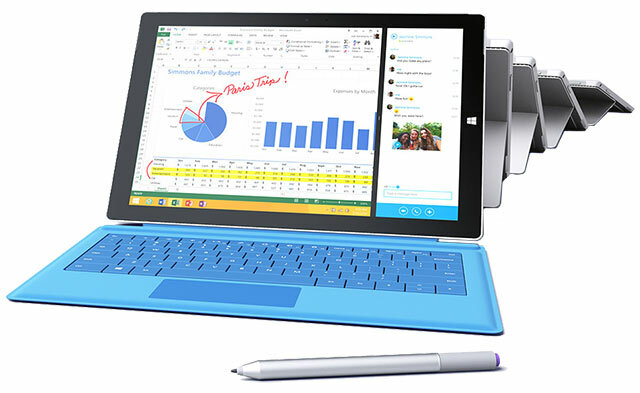 An ideal hybrid for using Windows 10, priced affordably, with the benefit of a touch keyboard and pen device. 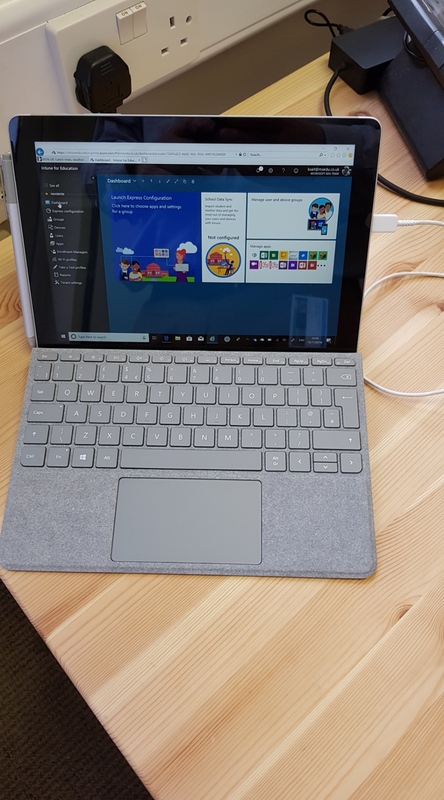 Hook that up with a Microsoft Wireless Display and you have a awesome teaching tool, as our colleagues at Spooner Row Primary school have found out by switching to Surface. If you haven’t experienced Surface 3 here is a small reminder. If I am shaping my students for a technology rich future and want to empower teaching and learning in the classroom, our ‘tech’ components shape up like this. Windows 10 Education for its scalability, ease of deployment, Project Spartan, app compatibility. 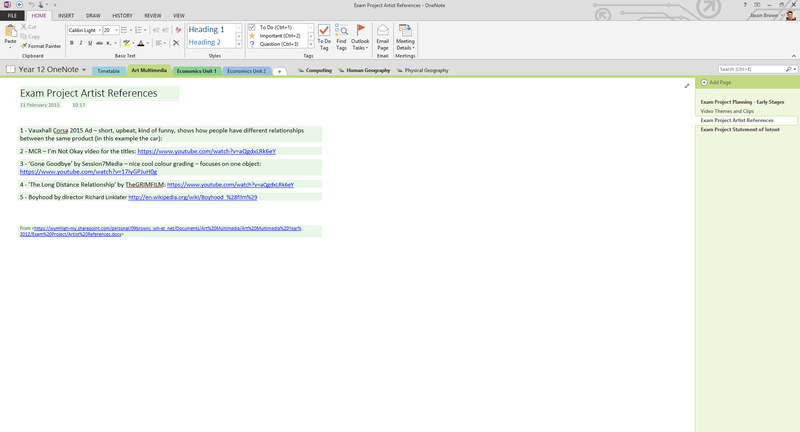 Office 2016 on my desktop and Office 365 in the cloud. Match this with devices, which include a pen then I believe schools have a winning formula at a truly affordable price. I am only touching the tip of the iceberg. After experiencing the E2 conference this year – I truly believe you need to forget the “Windows of old” and that includes Windows 8! These truly are changing times – don’t get left behind. 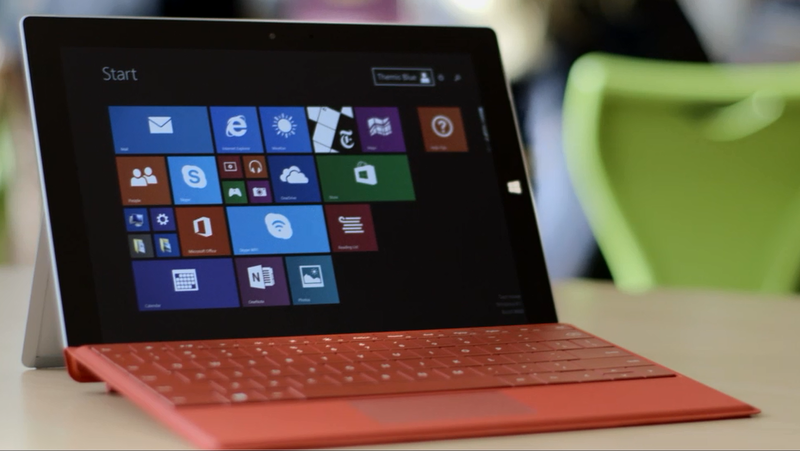 Follow the Microsoft Education team on twitter @MicrosoftEdUk for news on Windows 10 events. 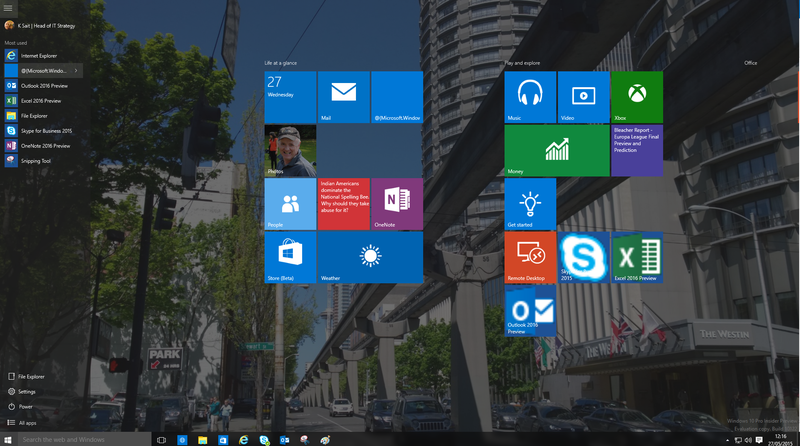 Windows 10 will be the Windows you love – you just don’t know it yet!